Patty Ann Hesser Herring departed this life on November 24, 2018 at the age of 89 with her family by her side. She had a full and joyful life, and although we mourn her death, we celebrate her life. The daughter of James (Jim) K. Polk Hesser and Vera Mae (Payne) Hesser, Patty was born on September 6, 1929 at their farm home in Lincoln County, Oklahoma, after the local doctor spent the night awaiting an early morning delivery. The family moved to Chandler, Oklahoma in 1940. Patty attended Chandler schools, where she graduated from Chandler High School in the Class of 1947. During her high school years, Patty was a “soda jerk” at the Chandler Drug Store fountain. After graduation she worked for the County Agent at the Lincoln County Court House. Patty then met the love of her life Roy J. (Junior) Herring. She and Junior were united in marriage on March 20, 1948. After a big honeymoon in Shawnee, the couple settled down and worked in the Cushing area all their married life. They managed a gas station on north highway 18 and one in downtown Cushing. Patty and Junior worked hand in hand throughout their business life supporting each other through every endeavor. Patty was a homemaker that loved to cook, especially being known for “Patty’s Pies”. Then after 11 years, Patty and Junior were thrilled when to this union one precious baby girl, Pamela Gail, was born. Once their daughter, Pam, came along, Patty became the mom who took a million pictures of her sweet girl, was at every PTA meeting, every school sporting event, and every place a driver was needed to take a group of kids here or there. It was easy to see Pam was the light of her life. Some of Patty, Junior and Pam’s favorites times were spent going to Pikes Peak and Colorado Springs, Colorado, Hot Springs and later Remington Park to the horse races, going to the catfish farm for a day of fishing, making Aunt Bill’s Brown candy for Christmas and teaching Pam’s friends to play pitch. She enjoyed competing on the Rice’s Furniture Store bowling league team. She was an election poll worker at Deep Rock School. In 1984, Patty took on a new 10-year role as the perfect person to babysit a six-week-old baby boy, Eric Vickers. Patty loved him like he was her own. Taking care of and being with family was what was most important to Patty. Patty attended and was very active with the Oak Street Baptist Church. Survivors include her husband of 70 years, Roy J. (Junior) Herring, one daughter Pamela (Pam) G. Edmoundson and her husband Vernon of Bixby; grandchildren Scott Edmoundson and his wife Jennifer of Tulsa, and Dan Pearse of Plano, Texas. Great-grandchildren Lauren Mozur and husband C.J., Alexis Senkirk and her husband Jake, and Kayli, Alyssa, Collin, Carsen & Conner Edmoundson and one great great grandchild Charlie Mozur. Patty is also survived by step-sister Wanda Tipton and her husband Bob, brother-in-law George Herring, sister-in-law Artie and husband Clair Curry, and sister-in-law Glenda Phipps and many more relatives from the Hesser and Herring families and Eric Vickers of Moore. 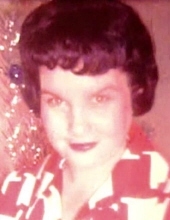 Patty was preceded in death by her parents, step-mother Lorene Hesser, brother-in-law Joe Herring, sisters-in-law Jewel Greenfield and Allie Herring and granddaughter Denise Pearse. Funeral services will be Wednesday, November 28, 2018 at 10:00 AM in the Davis Memorial Chapel. Burial will follow in the Parkland Cemetery. To send flowers or a remembrance gift to the family of Patty A Herring, please visit our Tribute Store. "Email Address" would like to share the life celebration of Patty A Herring. Click on the "link" to go to share a favorite memory or leave a condolence message for the family.